The latest issue of Weekly Famitsu has revealed the next set of games scheduled to be released as part of the Sega AGES range. The new titles are Space Harrier, (which was actually confirmed last week and has seen a relatively recent release on 3DS), Sonic the Hedgehog 2, Columns II, Out Run, and Thunder Force AC (also known as Thunder Force III). Very few details have been shared about how these games will perform on Switch, but we do know that Out Run will feature new music arrangements, while Columns II will implement online battles. This second batch of titles will join the five games already announced - Sonic the Hedgehog, Thunder Force IV, Alex Kidd in Miracle World, Gain Ground, and Phantasy Star. No release dates have been set for this new batch just yet, even in Japan, so we'll have to keep an eye out for future announcements on that one. Until then, though, why not let us know if you're excited to play this new selection when they finally arrive on Nintendo's console in the comments below? Give me Shining Force FFS!! That's becoming a substitute for that Sega 3D Classics Final Stage for 3DS that will never see the light in the West. But for now these Sega AGES haven't even been confirmed outside of Japan. I'm interested in Out Run, a classic in portable mode, but I hope there is an option to listen to the original songs. Interested too in Thunder Force III, another one -along with Sonic 2- that came in the Final Stage compilation. I wish the delay in Europe means some day we'll see them all in a nice retail package. Dreaming is free. I'd like to see them fulfill their promise on delivering Panzer Dragoon. Having Skies of Arcadia, Shining Force, Phantasy Star, and Panzer Dragoon Saga on the Switch would be a dream come true. Going by the 3DS port and what M2 have said already this means Outrun HD with wide-screen, 60fps and online leaderboards. This is exactly why these individual ports beat the stuffing out of the £40 Megadrive ROM Dump Collection. They have just 5 more to reveal now. M2 announced the other day that they have "major" news regarding the AGES line for Switch to reveal at the Tokyo Game Show on the 22nd September so I'm guessing we'll know the complete line up pretty soon. Golden Axe: Revenge of Death Adder has never had a release outside the arcade so a remastered port of that would be huge news for Sega fans. They've said the plan is to release 2 titles per month. @Moroboshi876 Sega already confirmed they are coming West a day or 2 after the Japan reveal. Golden Axe, Sega. Arcade version with the Genesis and Master System ports as bonus features to keep everyone happy. I would pay like 50€ each now no questions asked but serious I need all of these and Dragon Force. Shining Force I-III + CD + Shining the holy Ark are the gems of my youth. I will never get tired of playing them. Ever! This is is nice and all... but how about releasing some of these? or do we have to wait intill Christmas just to receive one of these games? @OorWullie Good to know. But it's taking a lot of time, don't you think? Hope we start to get some Saturn or Dreamcast stuff eventually. @Moroboshi876 Yep, not sure why Sonic and Thunderforce IV were delayed,they were supposed to release in Japan at the end of August. I've got a sneaky feeling they're going to launch immediately after the Direct though. Nope. Not indulging this crap. I might buy the Alex Kidd game(s) (and Out Run), and maybe Comix Zone, but that's it. Sega should be releasing the same collection on Switch as they have on other platforms. Even the 3DS got a retail collection (albeit an incomplete one). @Moroboshi876 : I just really want a more modern Out Run game. I'd be thrilled with a port of Out Run 2006: Coast to Coast if Sega want to take the cheap/easy option (as they so often do). Golden Axe and I’m set. Ill buy more but Outrun was the one I wanted and the one I didn’t think they’d include! How “new” can the titles go??? Anyone know? @Silly_G I would be OK with the arcade version, widescreen and 60fps. That's never been available on the go. But also wish for an Out Run 3 that gets ported to consoles, including the Switch, because I have the feeling that if this game ever happens it won't be ported to the hybrid because they'll consider it "AAA", and we all know what Sega is doing with Switch. Yes, what people call bad compilations should be on Switch too, perfectly capable of running them. Sonic 2 and Columns 2? We can do better than that..... move away from Sonic for these. They've been done to death! Outrun I'm all for but they need to bring more variety than Sonic. And that Thunder Force AC release better contain Thunder Force 3 for Genesis/Mega Drive because AC is the inferior version of 3. I'm still excited for most of these releases though. Outrun is an absolute classic, haven’t played since my master system days so cannot wait to dive back in! As good as the games are, I’ll wait until they start releasing games they haven’t already released several dozen times already. Most probably they will only include 80s games since any conversion would be easier and less costly. But I still hope that they will include Nights into Dreams and Daytoooooooooonnnnnnna! In the series. 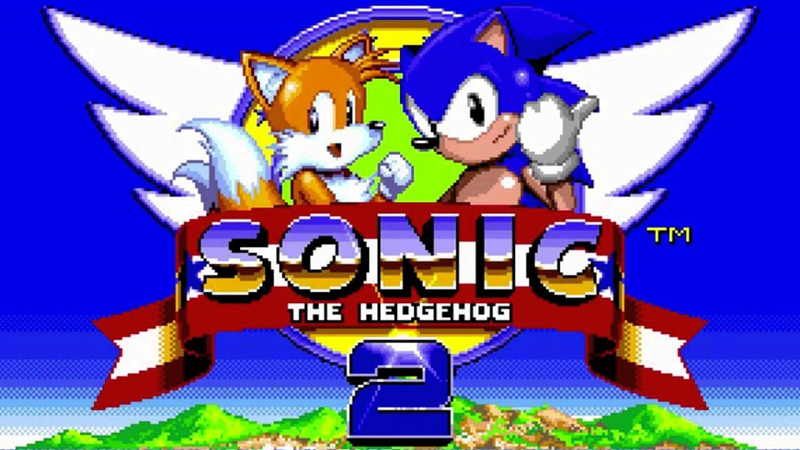 I wonder whether the sonic 2 version will be the original or the mobile port that had additional features? Hoping for the additional features personally but unlikely if it's M2. Only game that's exiting about it so far has been Phantasy star 1, that game is not common. Also Dynamite Heady and Rocket Knight would be Cool. Will grab both Thunderforce titles on release; some of the others maybe when on sale. Unless any Shinobi games also get released. Hopefully these are successful enough so Saturn and Dreamcast games follow on. All over OutRun, especially as in my head it increases the odds of Outrun 2 coming or at some point. Hopefully this series does well, as M2’s conversion quality tends to be excellent. But especially so they’ll move onto Saturn and Dreamcast stuff at some point. I hope these do well so we can also get Saturn and Dreamcast games in the future. Don't forget — these aren't just simple ports like how they were released in previous years. Theres a some work to be done to make sure emulation is good, extra features are added, and it's a quality product. I for one am happy to wait, although I too am extremely excited to play these on my Switch, as long as these aren't just simple rehashes like we've gotten in the past. Sure we got 3D on 3DS but I think there was a similar time gap between releases for those too. Let's appreciate the fact we aren't getting lazy ports! Now come on, Sega! Let's get these out already! And I keep saying it.. Please release Landstalker!! And I'll stand with anyone who wants Shining Force as well! And YES... don't stop at Genesis/Master System. Let's get some of that Saturn/Dreamcast goodness as well. Sega does what Nintendont. Come on N, give us an awesome Virtual Console. And Sega, just one word... Daaaatooooooonaaaaa. I love all of these games, but most have been released ad nauseum (with the Thunder Force games being the exception). I'd love to see SEGA start releasing Saturn, Dreamcast and forgotten arcade games (Golden Axe Revenge of Death Adder, Scud Race, OutRunners, etc.) as part of the AGES line. I'm a huge SEGA fan but I just can't get excited for buying Space Harrier and Sonic 2 for the millionth time. Have ThunderForce II and IV so III is a must. @electrolite77 It is very unlikely they'd go straight from OutRun to OutRun 2. More likely they'd release Turbo Outrun first, which was part of the 3D Classics line in Japan (and is honestly kind of meh). The next logical OutRun game would be OutRunners, which is an amazing sequel. OutRun 2 would be a long way off as it is based off of Xbox hardware. 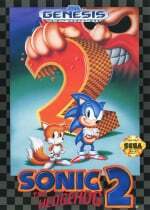 Sonic 2 is my Catcher in the Rye, I can't not buy it. Skies of Arcadia, please. With the extra content of Legends but the good uncompressed soundtrack of the Dreamcast version. @Silly_G That would depend on the Ferrari license which was the reason why Outrun Online Arcade was taken off the digital stores because SEGA no longer had it. SEGA would either have to work something out with Ferrari or edit those games to remove the name and likeness of Ferrari. Not impossible, but extra work none the less. @Angelic_Lapras_King : It is extremely shortsighted of SEGA not to have secured some sort of perpetual licence/royalty agreement with Ferrari when more recent entries in the series have relied so heavily on a real-world brand. I can't see them redoing the game in order to remove the Ferrari licence, but perhaps a new entry is long overdue. It's not as if the games are terribly sophisticated. Getting there with the lesser rereleased titles, but if this range is promising stuff from all SEGA systems, then they really need to have at least 1 Saturn/Dreamcast game with each batch announced, even if its something like the Sonic Adventures or Crazy Taxi which have had a fair few rereleases. Just something mixed in with the same old Mega Drive games and the same arcade titles. @Silly_G Same thing happened with Afterburner Climax, they no longer had the license for certain jets and therefore it got taken off the digital store front. Shame really, both were great titles. I'm really happy about Thunder Force AC, i bet M2 will use the Saturn version as the base and will include features from other versions. @RushDawg Yep, Sega can keep re-releasing Genesis/Mega Drive games until the cows come home, but they're missing a huge opportunity by not bringing over Saturn and Dreamcast games to the modern era, especially since they never sold nearly as much as the Genesis/MD. At least NiGHTS came out on Steam, so that's gotta mean something, right? It means nothing if we don't eventually get Sonic 3. Apparently Sega has been holding it back due to Michael Jackson contributing to the soundtrack. This is why Sonic 3 is not included in the Sega mini or the collection for PS4 or X-Box One. Oh sweet! They're re-releasing those games they've only re-re-released a million times before! Nintendo could learn a lesson about re-re-re-re-leasing old games here. I do love me some Gain Ground! Hope to see Skies of Arcadia and Sonic Adventure 1 and 2. A physical criterion-level release of som kind of Sega Ages Complete Collection (like all their Sega Ages games on one cart) on Switch should TOTALLY be a thing.